What does it mean if your Star Sign is Aquarius? → Click here to read your Aquarius horoscope! Fascinated by all things gadget, many Aquarians enjoy tinkering with inventions and processes. 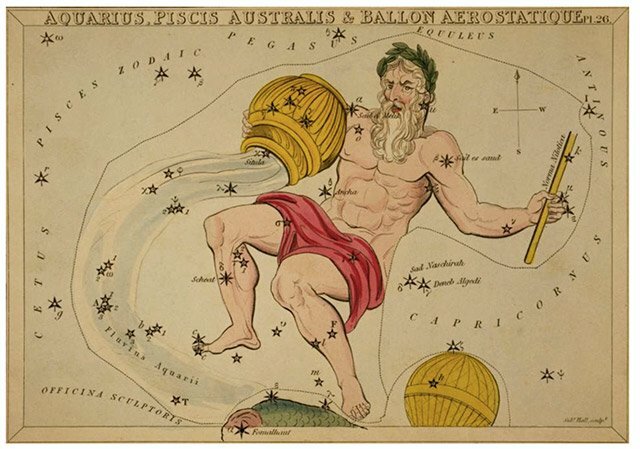 On the surface, Aquarius people are often not very emotional, because they are more concerned with the exchanging of ideas and how they might better assist someone in their cause. Aquarians have a great deal of patience and tolerance for their fellow man. They make excellent teachers and relief aid workers, though do not become personally involved with them. Upside: Aquarians are among the friendliest of the signs, making friends everywhere. They are often chosen among co-workers and family for special awards and honors because of their ability to network. Highly intelligent they are energetic and talented, often using their abilities to help others. Despite their extensive people skills, they often crave alone time to reflect and think about things. Meditation is recommended for this sign as it helps to maintain that sense of alone time, while at the same time a feeling of connectedness with something greater than themselves. Downside: If this sign does not have alone time and time to do much desired reflection, they become dour, emotionless, and even are prone to depressive interludes. They can become highly resentful if they believe that their voice is not being truly heard or valued. Because they do self-reflect, this sign can become quite eccentric in some of the hobbies that they pursue, or activities they enjoy.